After the U.S. military dropped the first atomic bombs on Hiroshima and Nagasaki in 1945, the world roared with questions: what long-term health risks could atomic weapons carry? How did the Soviet Union build their own bomb so quickly? And did the Manhattan Projects scientists have help from extraterrestrials?<br><br>Sponsors!<br><br>Care/of - For 25% off your first month of personalized Care/of vitamins, visit TakeCareOf.com and enter code CONSPIRACY.&nbsp;<br><br>Sun Basket - Go to SunBasket.com/CONSPIRACY today to learn more and get $35 off your first order!<br><br>Torrid - Go to Torrid.com and use Promo Code CONSPIRACY15 for $15 off every $50 you spend! That means you can get up to $150 off a $500 order! FEMA, The Federal Emergency Management Agency, helps millions of people recover after a natural disaster. However, some say FEMA might not be the solution to disasters, but the cause of them. FEMA is alleged to have established hidden “death” camps for one ominous reason: to detain, and possibly kill, American citizens who don’t conform to the New World Order.&nbsp;<br><br><br>Sponsors!<br><br><br>StoryWorth - For $20 off, visit StoryWorth.com/CONSPIRACY when you subscribe! Most Americans don’t believe the theory that Lee Harvey Oswald acted alone in Dallas, Texas in 1963. He must have been working for the Cubans or possibly the Soviets. Or was it an accident? Or was the US Government behind the most examined assassination in modern U.S. History. <br><br>Sponsors!<br><br>Parcast - Rate, review and subscribe to our new show <strong><em>Assassinations</em></strong> which premieres November 19th! Lee Harvey Oswald is the sole person responsible for Kennedy’s assassination. Or is he? Many Americans think the government’s official story is flawed and Oswald didn’t act alone. Is there someone else out there responsible for JFK’s death?<br><br>Sponsors!<br><br>Parcast - Rate, review, and subscribe to our new podcast Hostage! Vaccines are universally accepted and overwhelmingly deemed safe and effective by medical professionals today. Yet, controversy remains about what’s inside of them, who’s controlling them, and for what purpose?<br><br>Sponsors!<br><br>Upstart - Hurry to Upstart.com/CONSPIRACY to find out how low your Upstart rate is! Checking your rate only takes 2 minutes—and won’t affect your credit! These injections provide long-term, sometimes lifelong protection against a disease, but are there side-effects we don’t know about?<br><br><br>Sponsors!<br><br><br>Parcast - Be sure to rate, review, and subscribe to our new podcast Kingpins! The Human Genome Project allowed us to understand the genetic blueprint of a human being. What could the reverse engineering of UFOs teach us about life beyond our world?<br><br><br>Subscribe now to our new podcast HOSTAGE, featuring the riveting story of Patty Hearst's abduction by the Symbionese Liberation Army.<br><br><br>Sponsors!<br><br>Parcast - Subscribe to our new shows Hostage and Kingpins! Head to Parcast.com/Hostage and Parcast.com/Kingpins now so you don’t miss an episode! Nations routinely advance themselves by creating schematics from stolen or recovered technology. Could we be doing the same thing by reverse engineering alien spacecraft?<br><br>Subscribe to our new show - Hostage - today!<br><br>Sponsors!<br><br>Parcast - Sign up for the Parcast Monthly Newsletter at Parcast.com! The truth is rarely the only story. Every Wednesday, we take a skeptical look at history's most controversial events and cover-ups… What's really at Area 51? How did Princess Diana die? Are the Illuminati controlling everything? 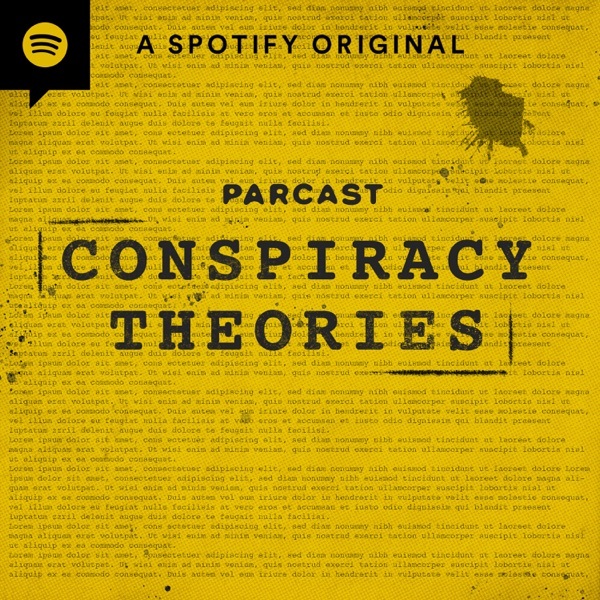 Conspiracy Theories premieres Wednesday January 31st. Here is a sneak peek.